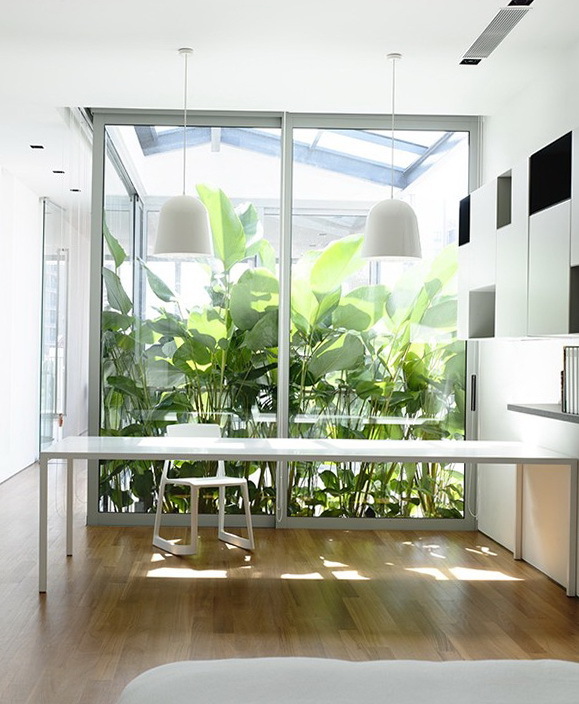 In a slim plot in urban Singapore, a new contemporary home rises from amidst a concealed garden. 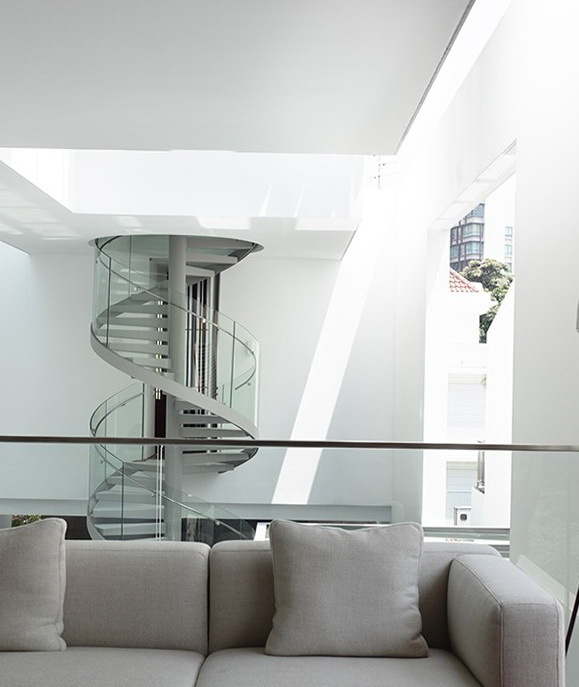 The house on Jln Angin Laut by Hyla Architects is one of many architectural marvels comprising a celebrated contemporary movement in Singapore, and this home is certainly a gem of that collection. Its sleek outer facade contains a garden that lines the base of this towering home. A glass staircase carries guests from ground level to the home’s entrance, opening out into a large living space with multi-level ceilings and private quarters tucked away above. 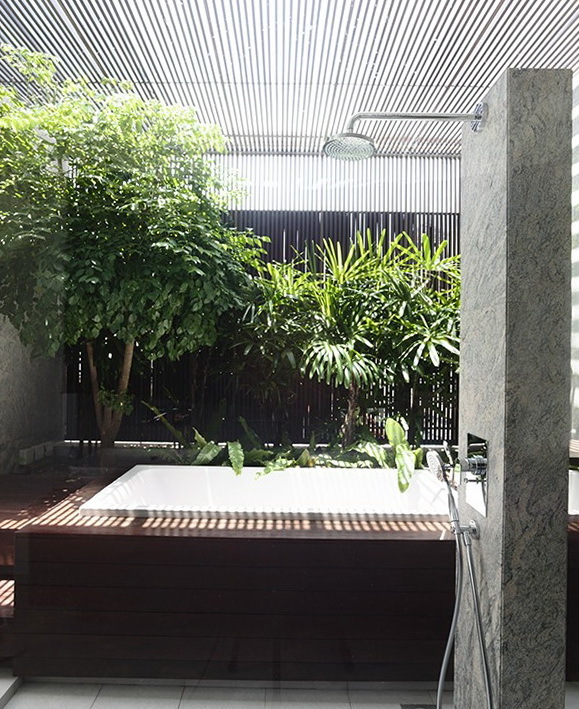 Green spaces and plant life are emphasized throughout the home, but none more so than the large outdoor living room that is part contained, part open to the environment around it. 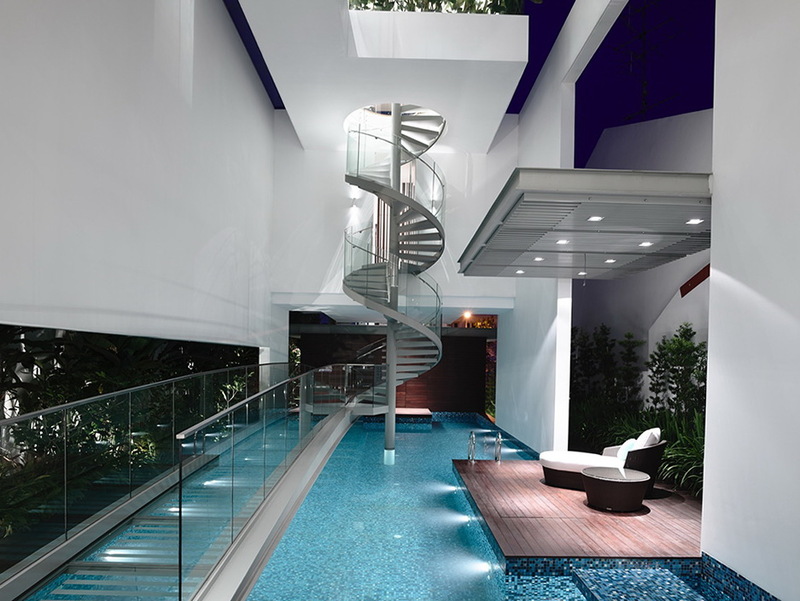 A swimming pool and lounge area stretch across the bottom level while a pathway leads to the glass staircase mentioned above. 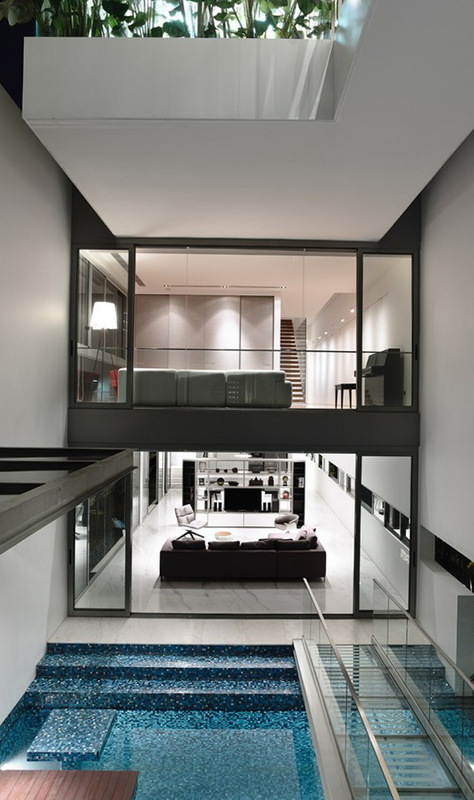 In total, this slim Singapore house is a marvel of modern architecture, a design that is sure to captivate anyone who is lucky enough to enter.